NexiusZoom EVO is available with either binocular or trinocular tubes and a choice of stands and objectives, with or without illumination. This model is configured with an ergonomically designed pillar stand with two 3W goose-neck type incident LED illuminations on each side and a 3W transmitted LED illumination. The optical system of NexiusZoom EVO is based upon the Greenough principle with a 1:8.4 zoom objective providing magnification from 6.5x to 55x with the standard objective and up to 220x with auxiliary lenses. The result is a large working distance of 110mm and field of view from 33m to 4.9mm. The zoom is equipped with click stop points allowing you to quickly and repeatably recall precise magnifications. All lenses are anti-fungus treated and anti-reflection coated to maximise light throughput. 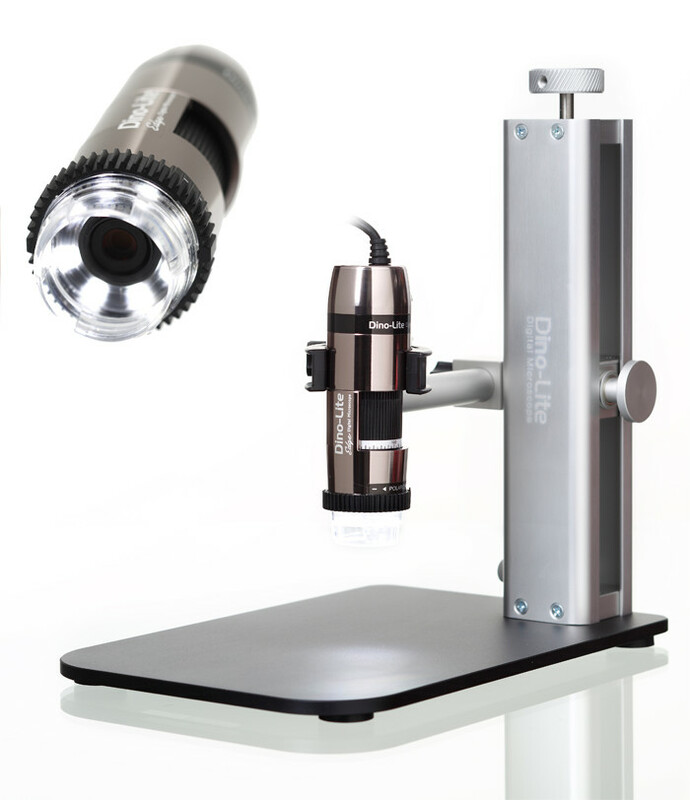 Digital imaging can be supplied with NexuisZoom EVO. Select the Trinocular head and add a camera of your choice from our range of accessories.